A naval aviator during World War II, successful businessman, Congressman, ambassador to the United Nations (appointed by Richard Nixon), director of the CIA, then vice president under Ronald Reagan, Bush defeated Democrat Michael Dukakis in 1988 to become president. 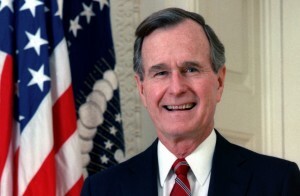 Bush led a coalition of nations against Saddam Hussein’s Iraq in the first Gulf War in 1990–1991. 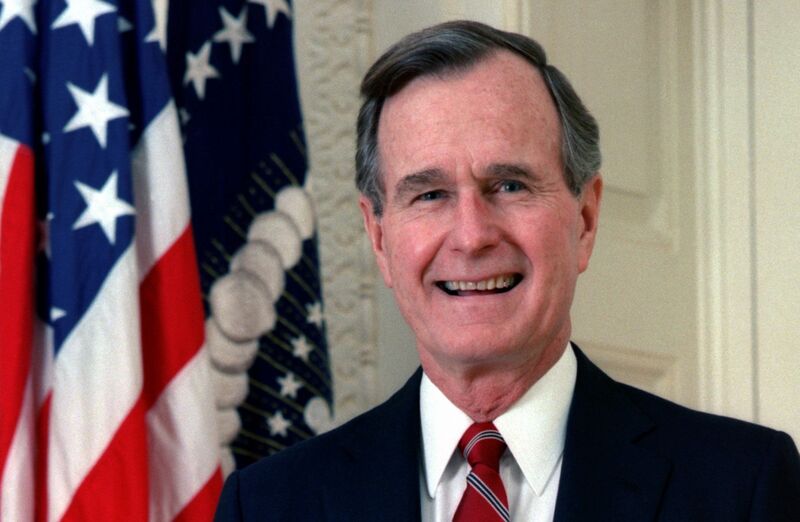 Despite a jump in his popularity after the quick victory in that war, Bush was defeated by Democrat Bill Clinton largely because of Bush’s failure to reverse a slide in the American economy.